Home / Billboard Hot 100 / Cardi B / charts / Cardi B Scores No. 1 On Billboard Hot 100 With "Bodak Yellow"
Cardi B Scores No. 1 On Billboard Hot 100 With "Bodak Yellow"
Cardi B has scored her first ever Billboard Hot 100 No. 1 with her single Bodak Yellow. The rapper knocked Taylor Swift's Look What You Made Me Do to No. 3 and debuting straight in at No. 2 we have Post Malone's Rockstar featuring 21 Savage. 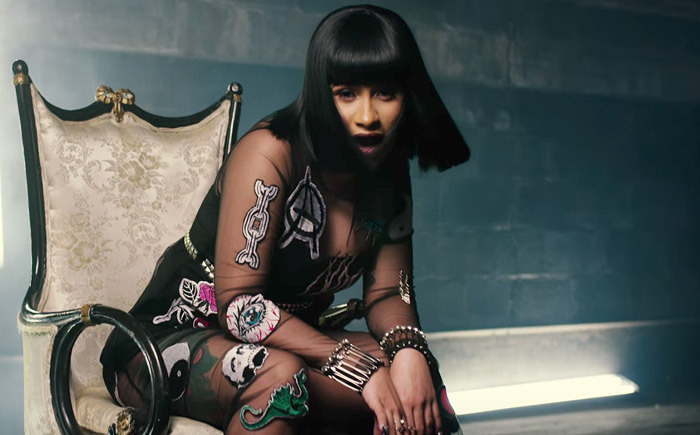 Cardi B conquista o seu primeiro #1 na tabela de singles mais vendidos nos EUA com Bodak Yellow a subir uma posição para o topo da tabela! Parabéns! Ela derrubou Look What You Made Me Do de Taylor Swift para o #3 e a entrar diretamente no #2 temos Rockstar de Post Malone com 21 Savage!